The Investguru Team follows the path of empathy, intelligence, common sense and responsibility to manage the wealth of its investors. With the focus to make investing a satisfying experience, the team listens carefully to the clients’ needs and wants and advises and manages their investments accordingly with great care and passion. 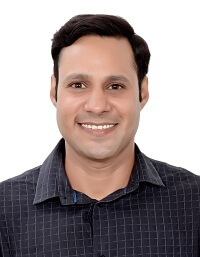 With Degree in Management from Faculty of Management Studies, Udaipur, he is NISM Certified Personel Financial Advisor ;NISM certified Mutual Fund Advisor & IRDA certified Life Insurance Advisor. Pawan Agrawal heads the compiance. IT and customer service fuctions along with all the responsibilities of Enterpreneur. 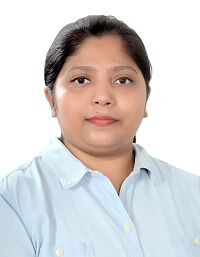 With Bachelor’s Degree in Science and Law, and as a Fellow member of ICSI, Tulika Agarwal is the most qualified advisor in Team Investguru. Her career spans 18 years comprising successful stints in mid-size listed companies. She is an NISM certified Investment Advisor and NISM certified Mutual Fund Advisor. She energetically advises and services her clients to enable them to reach their Financial Goals with simplicity and peace of mind. Her greatest virtue is to empathize with the clients and provide suggestions according to the situation. A mother of two bright kids, she reads extensively and is fond of sketching and painting. Energetic and compassionate, Shweta Chhabra is a true champion working diligently for last 14 years with Accord Financial. She heads the business development function in the company. She is an NISM certified Investment Advisor, NISM certified Mutual Fund Advisor & IRDA certified Life Insurance Advisor. Being a senior professional, she is always ready to assist the clients in every situation to make sure they always feel delighted while dealing with accord. Shweta is passionate and proud to be a part of her client's financial planning process and takes immense satisfaction when her clients reach their financial goals. An enthusiastic morning walker, Shweta lives with her entrepreneur husband and two bright kids, Sanskriti and Darsh, in New Delhi. 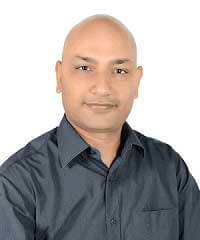 After completing his MBA from Rajasthan University, Narender has been part of accord family for last 12 years. Hard working and soft spoken, Narender Mehra is quite enthusiastic in his interaction with clients and peers. He constantly upgrades his knowledge about products, markets and current situations. This enables him to presents his clients with wide range of solutions to their investment needs. He is an NISM certified Investment Advisor-Level-1 and NISM Certified Mutual Fund Advisor. Narender is a fitness freak and never misses his workout despite his busy schedule . His added passion for cooking helps him to pamper his taste buds while maintaining a healthy diet. 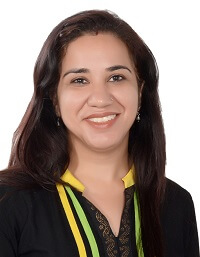 Suman Grover is one of the veteran team member of Investguru family working with the company for last 13 years. 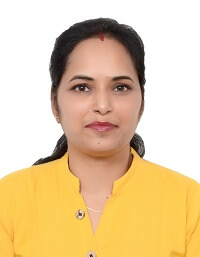 She is Graduate from Delhi University and NISM certified Investment Advisor-Level-1 and NISM Certified Mutual Fund Advisor. Proficient and dedicated towards client service, she is truly a problem solver. She is hardworking and took pride in providing optimal Financial solutions to the clients. She lives in Delhi and enjoys exploring new cuisines and listening old hindi songs. Archana Chawla is a Graduate from Delhi University and an NISM Certified Mutual Fund Advisor. She is taking care of client relationships for last 11 years. She is an NISM certified Investment Advisor-Level-1 and NISM Certified Mutual Fund Advisor. Industrious, sharp and soft spoken, she regularly upgrades herself about the products and markets. Archana interacts enthusiastically with the clients to guide and help them in reaching their Financial Goals. She lives in Delhi and enjoys spending time with her family. 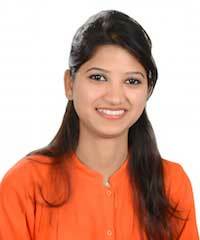 NISM Certified Mutual fund Advisor, Priyanka Kashyap is associated with Accord Financial Services for last 5 years. Methodical and hardworking, she is always eager to learn various aspects of financial planning and investment advisory. She spends considerable time understanding client needs and risk profile and then only suggests suitable investment solutions. She lives in Delhi and enjoys playing badminton and listening music. 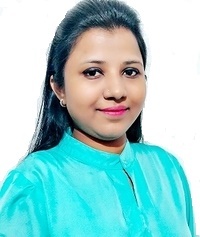 Lata Shakya is a Graduate from Delhi University and an NISM Certified Mutual Fund Advisor. She has been helping the investors to plan and manage their investments for last 6 years. She believes in continuous learning and works with her clients deeply to understanding their financial needs and goals and guides them accordingly. She lives in Delhi with her family. In her free time, she enjoys playing Carom. 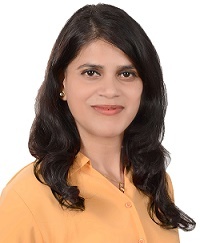 Mamta Prasad is a Graduate from Delhi University and an NISM certified Mutual Fund Advisor. She has been an asset for Accord Financials for last 10 years. She has been managing client queries with her quick response and comprehensive knowledge to high effectivity. Her ability to learn new changes in regulatory laws and operational procedures of various fund houses keeps her in tune with the changing times. Mamta lives with her family in Delhi and likes cycling and playing Lawn Tennis. 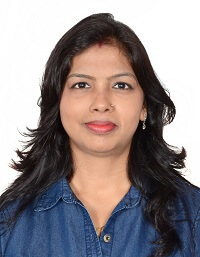 Savita is a nine year veteran with Investguru. 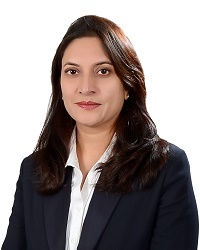 She has progressed from her executive role of solving client queries to that of managing the client servicing team for life and general insurance. With her determination to give everyone a positive and satisfying experience with Investguru, she resolves client queries with utmost care and passion. She is always eager to learn more and helps her team members by updating them with changes in various products guidelines. She is a Graduate from Delhi University and an NISM Certified Mutual Fund Advisor. She is an avid cook and is fond of travelling with her family.